This entry was posted in ERP, SAP Business One and tagged SAP B1, SAP Business One on April 3, 2019 by Saajan Sharma. This entry was posted in SAP Business One and tagged best ERP Software, ERP Software, ERP Solution, SAP Business One on April 3, 2019 by Saajan Sharma. 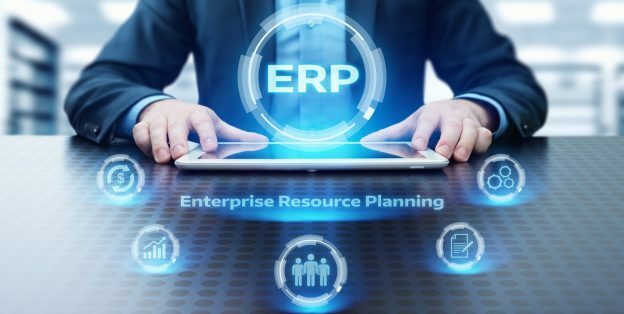 This entry was posted in ERP, SAP Business One, Technology and tagged Enterprise resource planning, ERP, ERP Software, QuickBooks, QuickBooks software, SAP Business One on March 26, 2019 by Saajan Sharma. When having an ERP software, you will have to make sure that it is GST ready. Being GST ready helps your business in several ways which is associated with GST compliance, tax filing, reconciling financial transaction and multi-level calculations. Let’s us quickly examine now as the possible areas that your business is in a dire need of GST-ready ERP. Your business has a complex tax structure. A complex tax structure kills your time and you need to avoid it as your business requires your undivided attention than all these calculations that can be easily automated. Multiple tax rates is one of the biggest hurdles that your business might be facing. You might be unaware of certain tax and legal formalities. Your business demands multiple compliance and rules. You need to have worldwide standard compliance which makes your business process quite complicated. The much talked about GST implementation has now become a reality. GST software will bring simplicity in the way businesses operate by replacing existing indirect taxes such as Excise, Value Added Tax (VAT), Service Tax, etc. into one taxation system. However, for businesses to continue to function smoothly, their ERP software will have to be GST-ready. Let’s quickly explore as how SAP Business One will help your business to be GST- ready and meet all your GST compliance needs. Under the GST tax system, all the documents related to statutory compliances, calculations, tax filings, payments, numerous reconciliations should go in the system and need to be recorded. So, there comes the need of a robust and enterprise-level software that can help meet this challenge. 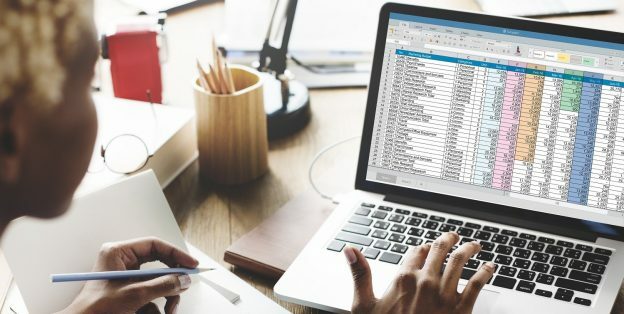 SAP Business One can mitigate the need of having spreadsheets in place, and make document management relatively easier and breeze. Compliance reforms are expected to go intense under the GST reform. A smart and GST-ready software like SAP Business One can render complete transparency and give a comprehensive view of all compliance activities. Should you be needing convenience in filing statutory reports? You can also customize reports as per your unique business needs. Further, the filing of taxes will become a breeze with this international-standard software. Complete data security is the most important aspect in the digital driven world. Irrespective of where you store your data in the cloud, there may be a risk of data theft or any other negligence. Thus, investing in a GST ready and enterprise-ready software like SAP Business One is an intelligent choice to run your business safely and in compliance. When you use disparate systems, there is a high probability of manual errors, high conflicts, and loss of information leading to discrepancies and risks. This makes year over year comparison really arduous. With a modern ERP system in place, all required applications are well integrated, your data is synchronized and the forecasting models become easier. Today’s ERP or the software you own may not be able to respond to the needs of GST compliance requirements and can pose severe challenges for your organization. Hence, the need for bringing in a technology solution designed specifically for GST is what all you need to ensure that you are following GST norms. Let us be your partner in this journey and navigate you to the right GST path. This entry was posted in ERP, SAP Business One and tagged ERP Software, SAP B1, SAP Business One on March 19, 2019 by Saajan Sharma. Every company do things differently and need a solution to support their diverse business objectives and initiatives. This is why; SAP Business One add-ons is devised. ERP add-ons give more functionality that otherwise would not have existed before. 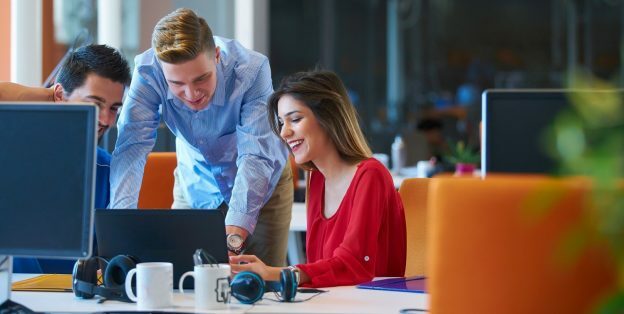 There are a couple of benefits that you may experience once you implement add-ons in your ERP software for small business. The SAP Business One add-on provides customers the ability to configure functionalities as per the specific business needs. The custom functionality allows users to configure functionalities and tasks that were previously possible with the costly and major development practices. SAP Business One add-ons extend the capability of the enterprise resource platform which is designed to accommodate the needs of companies to manage their operations seamlessly. In this blog, we are uncovering the benefits of SAP Business One add-ons for different industry verticals that don’t just fit function but fit your needs precisely. Trading business is replete with dynamic shift changes laded with perfection and speed. 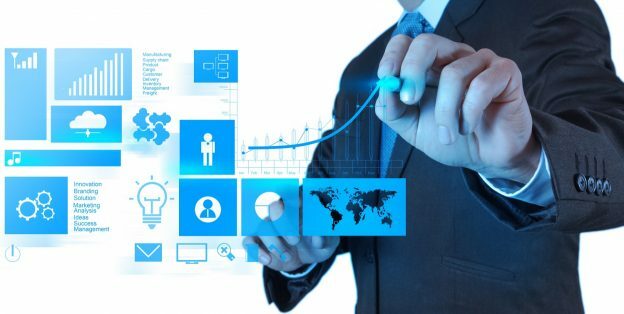 So, if you are a trader you would want to invest in a software that can help you achieve critical business objectives and uncover hidden insights on the fly. With add-ons specially designed for trading, it becomes relatively easier to keep a tab on real-time warehouse and inventory-reporting and track even minuscule details. Managing the supply chain efficiently is always a focus of the dairy business. On the top of it, managing perishable food items and keeping the track of perishable items is much more complex. Customers are now more concerned with the quality of food, which is now forcing dairy companies to have an end to end traceability from raw material to finished product. With dedicated add-ons for your dairy business, it becomes relatively easy to offer great control over aspects like sales bulk billing, distribution management, and route management and more. Pharma company faces a gamut of challenges as compared to other industries. Not only, it has to address those tough set of challenges in the shortest timeframe but also have to live up to the expectations which is growing. In this regard, to match the exact requirement of your Pharma business, SAP add-ons fits closet to your requirements. The add-ons help to keep a track on sensitive operations across the organization such as compliance, expiry management, costing, and simplify regulatory reporting. It’s a dream of all manufacturers to react faster to dynamic market demands, predict operational issues and fast-track production lines. SAP Business One add-ons for manufacturing enables manufacturers to manage multiple manufacturing units and keep a tab on inventory, calculate work center cost per hour and conquer manufacturing challenges head-on. Food & Beverages faces multiple challenges such as rising consumer demands, globalization, need for constant innovation, upcoming demands, margin squeeze, cost constraints, fierce competition, etc. Right from bulk manufacturers to short cycle produce, this industry is replete with challenges and opportunities to develop and deliver new products of superior quality which cater to today’s market demands. With SAP Business One add-ons, it becomes relatively easy to improve the production process, QC management, discount management, production status management and more. This entry was posted in SAP Business One and tagged ERP Software, SAP Business One, sap business one add ons on February 25, 2019 by Nidhi Batra. How you can leverage SAP Business One Dashboards? Almost all growing small and medium size businesses face hurdles when it comes to making sense of large amounts of data. However, you can glean some critical insights with SAP Business One. Dashboards present easy-to-understand visualizations such as bar or pie charts and in a way you want it to have. SAP Business One provides predefined dashboards for financials, sales, accounting, sales and service modules. These easy to use and fully customizable dashboards provide immediate access to the most relevant information in a visual format. If you’re a business owner you can immediately run insights, use drag and drop functionality and drill down to key information that matters to you the most. Let’s quickly examine the dashboards that you commonly use in SAP Business One. This dashboard allows the sales manager to understand customer buying patterns, sales pipeline and performance, buying price, as well as the status of important customers and optimizing sales performance throughout the days-weeks-months. This dashboard provides business users the holistic view of the company’s accounts receivables and helps finance professionals identify current or future financial problems. Now it’s easy to manage open purchase quotations. You can use this dashboard to view how vendors are responding to your quotations. As you receive quotations with responses, you can compare and close quotations. This dashboard helps managers to forecast a company’s future cash on hand. Today, users expect more functionality while on the go. They want to have complete information on their mobile devices the time and place they want. They don’t want to be restricted to a single place. SAP Business One mobile functionality facilitates organizations with a single application for connecting, interacting, analyzing and visualizing any data, from virtually any data source, on any device. 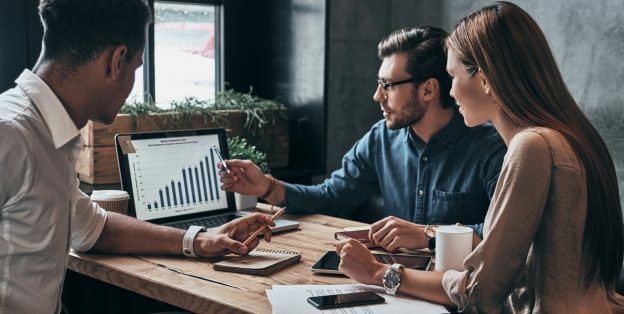 Without the dashboard, companies are forced to play guesswork when making any important decisions regarding finances, production, sales, marketing efforts and more. 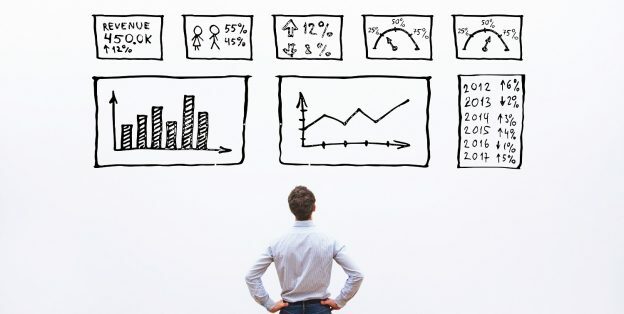 With real-time dashboards, the decisions made by business users and decision makers are more data-driven and often result in a competitive advantage for your organization. SAP Business One dashboards enable users to get a consolidated view of information across the organization. You can gain valuable insight into your entire business the way you want it and act immediately upon those insights. You can further visualize and analyze any data to answer any questions and make informed business decisions. Do you use SAP Business One dashboards? What all dashboards you are using apart from listed above? Let us know in the comments. This entry was posted in SAP Business One and tagged sap business one dashboard on February 19, 2019 by Nidhi Batra. What is BOM and how production bottlenecks can be avoided using SAP Business One? The manufacturing world is in a complex landscape but this industry is the most important as any other industry. Whether it is manufacturing drugs, clothes, automobiles part or any other, we cannot understate its importance. Keeping the dynamic nature of this industry replete with head-on challenges of production, sales, quality, quantity & delivery, this industry has some amazing prospects to grow if all operations are automated. This is an era of change and manufacturers need to be on the same page as of the digital transformation. One thing that hasn’t changed is the importance of the bill of materials (BOM) accuracy. Equally important is to have a system in place that ensures the accuracy of bills of materials. But what exactly is a Bill of Materials (BOM)? Commonly referred as product structure, or associated list, BOM is a comprehensive inventory of the raw materials, assemblies, sub-assemblies, intermediate assemblies, parts, components, sub-components, and the associated quantities of each needed to manufacture a product. In general, for a company to produce a BOM report, they need to have the following particulars. The problem with managing BOMs with spreadsheets or excels is that it becomes really difficult to keep a track of inventory and production lines. The result is a disconnected system that leads to production bottlenecks, miscommunication, confusion and inaccurate raw materials requirements. How SAP Business One can help you manage and automate BOM? Effortlessly manage bill of materials with best ERP for small business. Managing and maintaining any BOM can pose a different set of complexities and SAP B1 software can help you with better BOM management. The following benefits can be observed if you bring SAP Business One to manage your bills of materials. One can have real-time access to inventories and gauge as what is in stock and what they will need to order. With SAP B1, it is easy to create change and update the bill of materials. This gives a complete revision control while also rendering the ability to track changes. It also eliminates the errors that can occur if manual processes are involved. With SAP Business One, the purchasing team will receive real-time inventory requests from BOM database instead of having to wait for individual spreadsheets to be distributed. Not only does this process reduce the possibility of conflicts, confusion but also save considerable time. With BOM management at its place, manufacturing firm is prepared well in advance with its execution. This reduces the preparation time that manufacturing takes in an account and there is no delay in production side as everything is available on time. Further, it helps you to save your company time by expediting things which were earlier not possible with the traditional legacy system. If you are in a manufacturing business you would want to make your life a little easier by investing in a robust ERP software such as SAP Business One. This entry was posted in ERP, SAP Business One and tagged bill of materials, production sap b1 on February 13, 2019 by Nidhi Batra. This entry was posted in SAP Business One and tagged Financial Aspects, IT for SME, SAP Business One, sap business one finance on December 19, 2016 by Nidhi Batra. This entry was posted in SAP Business One and tagged ERP Software, SAP Business One, Small Business on November 18, 2016 by Nidhi Batra. This entry was posted in SAP Business One and tagged Business One, Myths, SAP, Top on August 8, 2016 by Nidhi Batra. This entry was posted in SAP Business One and tagged Business One, New Version, SAP B1 on July 4, 2016 by Nidhi Batra. This entry was posted in SAP Business One and tagged ERP, Logistics, SAP B1, Software on April 22, 2016 by Nidhi Batra. How important is testing for a successful SAP implementation? A comprehensive testing process is critical to the success of your SAP implantation. Here are some pointers that you must consider while defining your testing program. List of Business Processes: You must prepare a comprehensive list of business processes that are key pain areas. Test ALL of these processes with the SAP system to ensure that your business needs are well met by the ERP. Deviation Testing: All processes have some exception scenarios. While the system may not able to handle peculiar cases without customization, it MUST have checks and balances in place to identify deviations from standard processes. Test the system with all possible If-Then-Else scenarios to ensure a seamless workflow. Hello-Hi testing: Most SAP implementations bring different departments together and make them talk to each other effectively. When you are testing you SAP system, make sure that all cross departmental integration is in place and the info flows perfectly. UAT: It is imperative that the users who have to use and run the system are comfortable with it. All users must prepare their check lists and do a complete end to end testing of the system. Testing is a time consuming process, but make sure that you do not cut corners. Quality time spent on testing can go a long way in saving you from unforeseen glitches. What other testing steps have you used? Share your suggestions with us! This entry was posted in SAP Business One and tagged Implementation, Importance, SAP, Testing on March 22, 2016 by Nidhi Batra. This entry was posted in SAP Business One and tagged #Industry, #Publication, ERP, Software on January 8, 2016 by Nidhi Batra. This entry was posted in SAP Business One and tagged B1, Maintenance, Plant, SAP, Software, Uneecops Plus+ on December 10, 2015 by Nidhi Batra.